Rate this project NuTyX is a French Linux distribution (with multi-language support) built from Linux From Scratch and Beyond Linux From Scratch, with a custom package manager called "cards". The project has published NuTyX 11.0 which includes a complete re-build of the distribution and several package upgrades. "I'm very please to announce the new NuTyX 11 release. The NuTyX 11 is a complete recompilation of all the available binaries on NuTyX. Since everything has been recompiled, most of the packages have been update as well. The base of NuTyX comes with the new kernel LTS 4.19.28 and the very new kernel 5.0.3. The toolchain is completely rebuild around glibc 2.29, gcc 8.3.0 and binutils 2.32. The graphical server is now in xorg-server 1.20.4, the mesa lib in 18.3.4, GTK3 3.24.3, Qt 5.12.1. The Python 3.7.2 and 2.7.16 are updated as well. The MATE desktop environment comes in 1.22, the very last version as well. 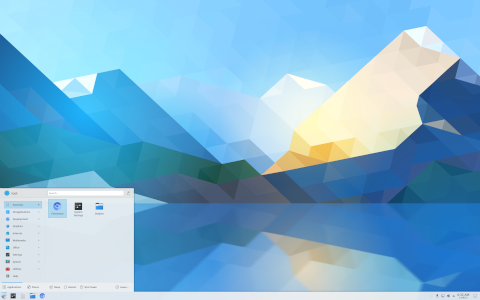 The KDE Plasma desktop in 5.15.3, Framework in 5.56.0 and applications in 18.12.3. Browsers Firefox in 65.0.2 and Chromium in 72.0.3626.121 (build by the Arch Linux team)." Further information can be found on the project's news page. The distribution is available in Fixed and Rolling editions. Download (pkglist): NuTyX_x86_64-11.0.iso (5,427MB), NuTyX_x86_64-20190325.iso (383MB). NuTyX is a French Linux distribution (with multi-language support) built from Linux From Scratch and Beyond Linux From Scratch, with a custom package manager called "cards". The project's latest snapshot is a release candidate for version 11 that includes a complete rebuild of packages with the GNU compiler. "I'm very please to announce the new NuTyX 11 RC2 release (also known as the 10.98 version). The NuTyX 11 RC2 snapshot is a complete recompilation of all the available binaries on NuTyX. Since everything has been recompiled, most of the packages have been updated as well. The base of NuTyX comes with the new kernel LTS 4.19.28 and the very new kernel 5.0.1. The toolchain is completely rebuilt around glibc 2.29, gcc 8.3.0 and binutils 2.32. The graphical server is now in xorg-server 1.20.4, the mesa library in 18.3.4, GTK3 3.24.3, Qt 5.12.1. The Python 3.7.2 and 2.7.16 packages are updated as well. he MATE Desktop Environment comes in 1.22 the very last version as well. The KDE Desktop plasma in 5.15.2, Framework in 5.56.0 and applications in 18.12.3." further details can be found on the distribution's news page. Download: NuTyX_x86_64-10.98.iso (314MB, SHA256, pkglist). NuTyX is a French Linux distribution (with multi-language support) built from Linux From Scratch and Beyond Linux From Scratch, with a custom package manager called "cards". The project's latest release is NuTyX 10.6. "I'm very pleased to announce the new NuTyX 10.6 release. This is a maintenance release until the version 11 of NuTyX is available. NuTyX 10.6 comes with Linux kernel 4.14.103 LTS, glibc 2.28, GCC 8.2.0, Binutils 2.30, Python 3.7.1, X.Org Server 1.20.3, Qt 5.11.3, GTK+ 3.24.5, GIMP 2.10.8, KDE Plasma 5.12.6 LTS, kf5 5.53.0, MATE 1.20.3, Xfce 4.12.3, Firefox 65.0.1,. A second kernel is available for people who want to use the latest version of the Linux kernel, 4.19.25. NuTyX 10.5 users are invited to upgrade. Four new ISO images are available in 64-bit and 32-bit variants. Sizes are from 315 MB up to 1.29 GB. They are available on the download page. The 64-bit edition is available in 'Fixed' and 'Rolling' releases as a base and as a MATE ISO image." Further details are available on the project's news page. Download (pkglist): NuTyX_x86_64-mate-10.6.iso (1,331MB, Fixed edition), NuTyX_x86_64-mate-20190225.iso (1,331MB, Rolling edition), NuTyX_x86_64-10.6.iso (314MB, Fixed edition), NuTyX_x86_64-20190225.iso (315MB, Rolling edition). NuTyX is a French Linux distribution (with multi-language support) built from Linux From Scratch and Beyond Linux From Scratch, with a custom package manager called "cards". The project has released NuTyX 10.5 which offers a number of software updates in Base (command line) and MATE (desktop) editions. "I'm very please to announce the new NuTyX 10.5 release. NuTyX 10.5 comes with Linux kernel 4.14.89 LTC, glibc 2.28, GCC 8.2.0, Binutils 2.30, Python 3.7.1, X.Org Server 1.20.3, Qt 5.11.3, GTK+ 3.24.1, GIMP 2.10.8, KDE Plasma 5.12.6 LTS, kf5 5.53.0, MATE 1.20.3, Xfce 4.12.3, Firefox 64.0. A second kernel is proposed for people who want to use the very last version of the kernel 4.19.11. NuTyX 10.4 users are invited to upgrade. Four new ISO images are available in 64-bit and 32-bit variants. Sizes are from 315 MB up to 1.29 GB. They are available on the download page. The 64-bit image is available in 'Fixed' and 'Rolling' release models as a Base and a MATE ISO image. The installer has been split in two installation modes - simple and advanced." Further information on NuTyX 10.5 can be found on the distribution's news page. Download (pkglist): NuTyX_x86_64-mate-10.5.iso (1,318MB, SHA256), NuTyX_x86_64-10.5.iso (314MB, SHA256). NuTyX is a French Linux distribution (with multi-language support) built from Linux From Scratch and Beyond Linux From Scratch, with a custom package manager called "cards". The distribution's latest release is NuTyX 10.4 and it ships with updated versions of the cards package manager, the Linux kernel, Firefox and LibreOffice. "I'm very pleased to announce the new NuTyX 10.4 release. NuTyX 10.4 comes with Linux kernel 4.14.78 LTS (4.9.114 in 32-bit edition), glibc 2.28, GCC 8.2.0, Binutils 2.30, Python 3.7.0, X.Org Server 1.20.1, Qt 5.11.2, GTK+ 3.24.1, GIMP 2.10.6, Plasma 5.12.6 LTS (in 64-bit edition), kf5 5.50.0 (in 64-bit edition), MATE 1.20.1, Xfce 4.12.3, Firefox 62.0.3. A second Linux kernel is available for people who want to use the very last version of the kernel 4.17.11. NuTyX 10.3 users are invited to upgrade. The EFI installation has been improved, but it's still experimental and limited. The installer has been spit in two installation modes - simple and advanced. Available graphical interfaces are: KDE Plasma 5, MATE, Xfce, LXDE, flwm, JWN, Ratpoison, Blackbox, Fluxbox, Openbox, bspwm, IceWM, twm." Further details and upgrade instructions can be found on the project's news page. 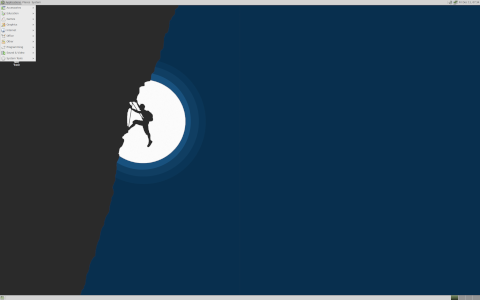 NuTyX is available in two editions, a minimal ISO and one with the MATE desktop environment. Download: NuTyX_x86_64-10.4.iso (282MB, SHA256), NuTyX_x86_64-mate-10.4.iso (1,268MB, SHA256). NuTyX is a French Linux distribution (with multi-language support) built from Linux From Scratch and Beyond Linux From Scratch, with a custom package manager called "cards". The project has released NuTyX 10.2 which includes several key package updates and improved support for EFI-enabled computers. "A new bootplash is now included in each ISO and at boot time after install. The kernel blocking and verbose problem on EFI machines is now solved. Users should be able to use more recent EFI machines with this new version. Extra languages like Arabic, Hindi, Chinese and Japanese are now available. NuTyX 10.1 user's are invited to upgrade. It is possible to make an upgrade of your system without problems. It's no need to reinstall your NuTyX. If the automatic upgrade process is activate, it will be done at next shutdown." A list of popular package versions and upgrade instructions can be found on the project's news page. NuTyX is available in standard (minimal), Xorg and MATE editions. Download (pkglist): NuTyX_x86_64-10.2.iso (283MB, SHA256), NuTyX_x86_64-xorg-10.2.iso (635MB, SHA256), NuTyX_x86_64-mate-10.2.iso (1,665MB, SHA256). NuTyX is a French Linux distribution (with multi-language support) built from Linux From Scratch and Beyond Linux From Scratch, with a custom package manager called cards. The project has published a new release, NuTyX 10.0, which is available in 32-bit and 64-bit builds. There are two editions, one is a base image without a desktop and the other ships with an Xorg graphical environment. The new release also features a graphical front-end for package management called Flcards. "No need to used command line to search, install or remove packages. Flcards is able to install directly a graphical interface. You can choose between LXDE, LXQt, MATE, KDE5 and Xfce4. The Xorg ISO can be used to make an entire post-installation in graphical mode via Flcards application. Flcards uses administrator rights without password. If you're against this rule, get rid of the Flcards package and use the CLI or edit the /etc/sudoers to fit your needs. xorg-app, xorg-font, xorg-proto and xorg packages are now split. The Xorg meta package is removed. All the Xorg packages are now in separated packages. The documentation is updated." Further information can be found on the project's news page. Download: NuTyX_x86_64-xorg-10.0.iso (579MB, SHA256), NuTyX_x86_64-10.0.iso (266MB, SHA256). NuTyX is a French Linux distribution (with multi-language support) built from Linux From Scratch and Beyond Linux From Scratch, with a custom package manager called "cards". The project has released a new development release, called NuTyX 10.0 RC1, which features updated desktop packages, Linux 4.14.10 LTS and a new graphical package manager. "No need to use the command line for searching, installing or removing packages. Flcards is now able to install directly a graphical interface, you can choose between LXDE, LXQt, MATE, GNOME, KDE5 and Xfce4. A GUI is now available for all those tasks. The ISO containing the Xorg graphical server is coming with the Flcards package manager so it's possible to make the post-installation in graphical mode. Flcards is using administrator rights without password. If you're again this rule, get rid of the flcards package and use the CLI or edit the /etc/sudoers file to your fit." Further information on the new release candidate can be found on the project's news page. Download: NuTyX_x86_64-10.0-rc1.iso (998MB, SHA256, pkglist). NuTyX is a French Linux distribution (with multi-language support) built from Linux From Scratch and Beyond Linux From Scratch, with a custom package manager called "cards". The project has released a new development snapshot, NuTyX 9.92, which fixes Intel video support and improves HP printer support. "The NuTyX team is pleased to announce the 9.92 release of NuTyX. NuTyX 9.92 comes with kernel LTS 4.14.2, kernel LTS 4.9.65, glibc 2.26, gcc 7.2.0, binutils 2.29.1, Python 3.6.0, xorg-server 1.19.5, Qt 5.9.3, KDE plasma 5.11.3, KDE Framework 5.40.0, KDE Applications 17.08.3, GNOME 3.24.2, MATE 1.18.2, Xfce4 4.12.4, Firefox 57.0 Quantum, etc. If we take in consideration all the git projects, we did more then 5,000 commits on the development branch since the 9.1 version. Fixed bugs and added packages: The missing xorg-xf86-video-intel is now included. The live mode of the installer works, you need enough memory on your machine. (8GB RAM or more is best). The HP printers graphical interface is again working, missing dependencies are now available in binaries." Further details can be found on the project's news page. Download (pkglist): NuTyX_x86_64-9.92.iso (261MB, SHA256), NuTyX_x86_64-9.92-xorg.iso (542MB, SHA256).